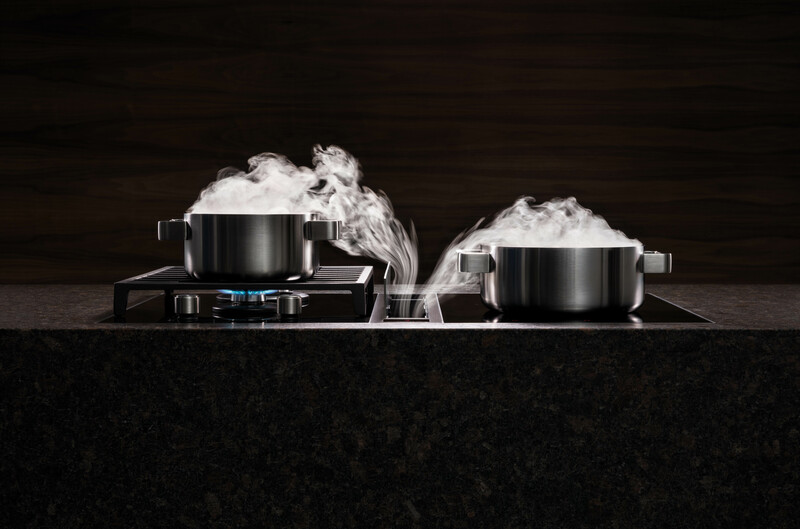 BORA draws odd odours and grease particles directly from the cookware, preventing cooking vapours from rising up and spreading throughout the kitchen and the rest of the home. The grease particles released during cooking are effectively trapped in the stainless steel grease filter, which is fully removable, washable and dishwasher safe! It really is like cooking in the fresh air! 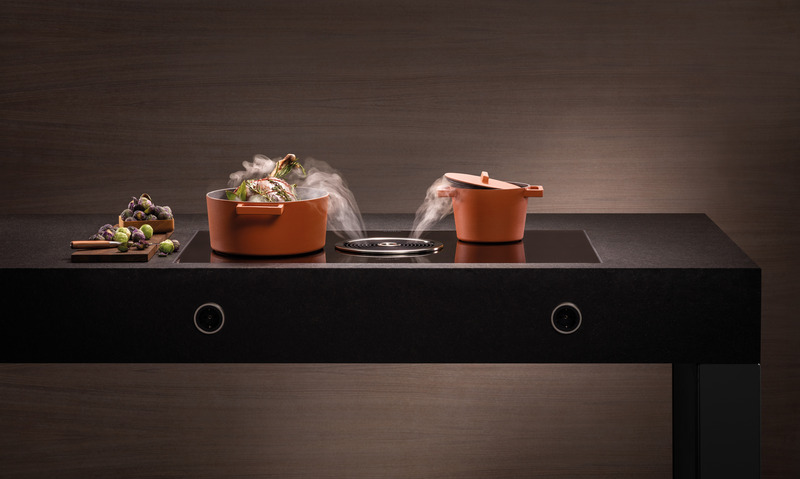 There are currently three cooktop variants available within the BORA range: BORA Professional, BORA Classic and BORA Basic, each different in some aspects, but with the same BORA principle. The BORA Classic is a combination of a high-quality extractor and various powerful cooktops, and has the broadest range of modular cooktops available, including the surface-induction-glass-ceramic cooktop with 2 cooking zones, the induction-glass-ceramic-cooktop with 2 cooking zones, the classic induction-glass-ceramic wok, the Hyper-glass-ceramic-cooktop, the gas-glass-ceramic-cooktop and the Tepan-stainless steel grill; enabling maximum flexibility. With intelligent touch operation, the BORA Classic is extremely simple to navigate and use. We have a fully functioning BORA Classic on display at Burlanes Chelmsford, and host regular demonstrations on how it works. Click here to read more about the BORA in our Chelmsford showroom. 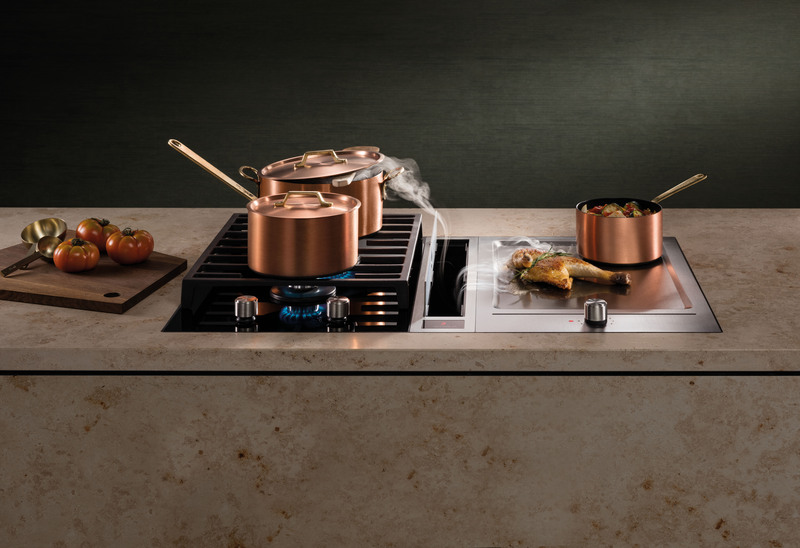 The BORA Basic impresses with its compact system dimensions, while still offering enough room for two large pans to sit side-by-side on the generously large surface induction cooktop. 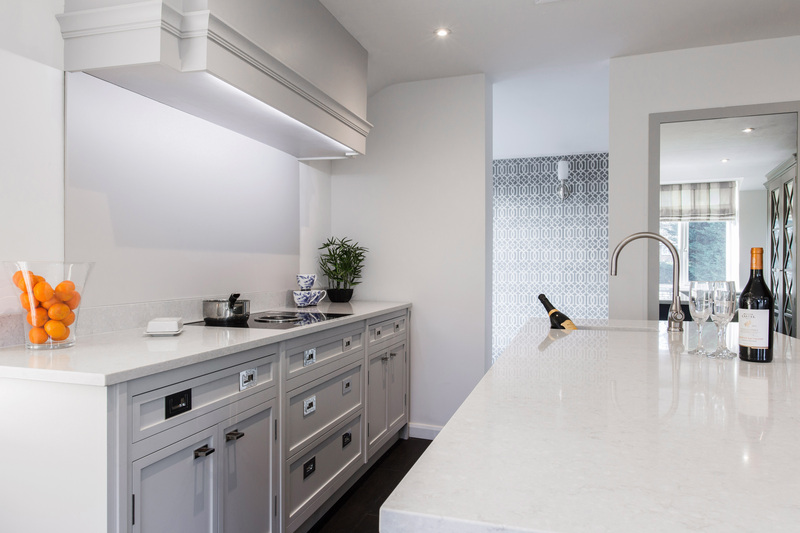 Similar to the BORA Classic, the BORA Basic also offers a number of options within its range, from the Basic surface-induction-glass-ceramic cooktop with exhaust or re-circulation extractors, to the Basic Hyper-glass-ceramic-cooktops, there is a BORA Basic to suit all lifestyles and kitchens. We have a fully functioning BORA Basic on display at Burlanes Sevenoaks, and host regular demonstrations on how it works.